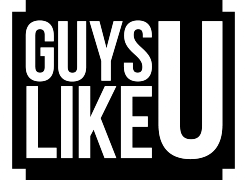 As regular visitors to GuysLikeU will know we are massive fans of the gEnnius and supremely talented cabaret artists THe Tipsy Gays. If they are new to you, you are missing out big time! Santana Smoke and Paul are two fabulous darlings who sprinkle their magic dust on some of our favourite tunes. TO FIND OUT MORE ABOUT THE TIPSY GAYS READ HERE AND BE PREPARED TO BE DAZZLED! Today, the pair have posted a stunning cover of Lady Gaga’s epic ballad I’ll Never Love Again. If that wasn’t exciting enough itself, the guys have gone all cinematic with their video clip and taken their talent outside of their living room and hit the streets of Berlin. Although it probably cost only €20 to make (if that! ), it looks pretty grand and we are mightily impressed by what our favourite duo have knocked up of an afternoon. Meanwhile, word of advice to Santana – get signed up to the UK version of RuPaul’s Drag Race pronto. We want you on there lip synching for your life! You’ll be a sensation! But enough of our wiffle waffle, folks, take a gander yourself at the epic that is The Tipsy Gays’ latest sensational production. Enjoy…. Previous ArticleFLIRTY DANCING HUNK DAN: "My dance date made me believe in love again"
Next ArticleCharlie King to appear on a celeb version of Flirty Dancing? Ricky Martin steams up our chilly January! Wow! X-Men’s Olivia Munn is the FUNNIEST woman in Hollywood! FACT!